Actor and Comedian, Regular on Whose Line is it Anyway? 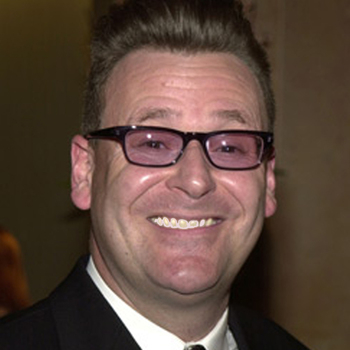 Greg Proops is best known for his unpredictable appearances on Whose Line is it Anyway?, the hit improvised comedy show on ABC hosted by Drew Carey. Greg was also a regular on the long running British version of WLIIA?? currently seen on Comedy Central and the ABC Family Channel. 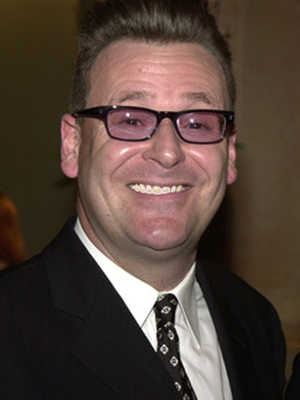 Mr. Proops stared most recently in Drew Carey's Green Screen Show on the WB network, and inventive and visually arresting new comedy series that combined improvisation with animation. Greg Proops other television sightings include The Drew Carey Show; The Late, Late Show with Craig Kilborn; Tough Crowd with Colin Quinn; Just Shoot Me; The Jimmy Kimmel Show; The Wayne Brady Show and the Best Damn Sports Show Period. Greg's topical humor may be heard on his own bi-weekly satirical show Audible Proops on audible.com. Greg Proops has been pleased to improvise with Drew Carey, Ryan Styles, Kathy Kinney, Colin Mochrie and many talented others as part of the Improv All-Stars. They rocked the 2004 Just for Laughs Festival with sold out shows, and also had the honor of performing for troops in Bosnia, Kosovo and the Persian Gulf as part of the USO. You dug Greg as Bernard, a mad scientist on Pam Anderson's animated series Stripperella. Greg was also excited to portray Fode, one half of the pod race announcer in the hit motion picture Star Wars: The Phantom Menace and all the subsequent video games. Mr. Proopman regularly hosts his own live comedy chat show at the ridiculously hip Hollywood rock joint Largo. Guests have included David Cross, Lewis Black, Drew Carey, Eddie Izzard and John C. Reilly. Providing musical magic are the likes of Jon Brion, Colin Hay and Grant Lee Phillips. Greg Proops threw down an original half-hour of stand up on Comedy Central Presents, which is repeated ad infinitum. Across the wide Atlantic in the United Kingdom Greg Proops has his own chat show at the Edinburgh Fringe Festival broadcast live on BBC Radio Scotland. Groovy guests like Candace Bushnell and Aidan Quinn have shared his sofa. The Proopkitty is also a total smartyboots: he won The Weakest Link, Ben Stein's Money and Rock n' Roll Jeopardy. Mr. Proops is married to a woman, Jennifer. He doesn't deserve her. They reside in lower California with their pet ocelot, Ashlee.